Reduce costs and the time required to do month-end or period-end accounting processes. Get your accounts in-order and get compliant, sooner. It takes just three straightforward steps to configure and start creating Journal Entries automatically. Be it FRSSE, ASPE, GAAP, IAS or IFRS – the flexible nature of Journal Generator means your financials will be ready, sooner. Define cost allocations using fixed or variable debit and credit impacts. Each allocation percentage uses the same top level value removing the need to create cascading schedules. Simplify accruals including reversing journals based on payroll and transactional data, eliminating manual time consuming spreadsheets and imports. Capture and reallocate employee or other expenses using timesheet based variations or fixed percentage allocation schedules. Streamline month end processing by automating journals based on any data in your NetSuite account. Are you doing manual accruals each month? Do you start doing liability provisions once all time entries are entered/approved? Not only does Journal Generator make these processes easier, but coming very soon is the ability to completely automate them using built-in scheduling capabilities. Alternatively, you can automatically execute Journal Generator as a part of a workflow using SuiteFlow. Setting up Journal Generator is a very simple process and requires only basic accounting and NetSuite knowledge. 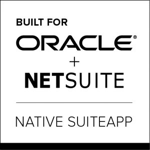 The crux is setting-up a Journal Mapping Definition – this defines the translation of (any) NetSuite data to a Journal Entry. The beauty of Journal Generator is that you only need to do this once and it’s as simple as pointing-and-clicking. Running Journal Generator then comes down to selecting the correct mapping and you’re off! With Journal Generator, create Journals automatically based on any NetSuite data. 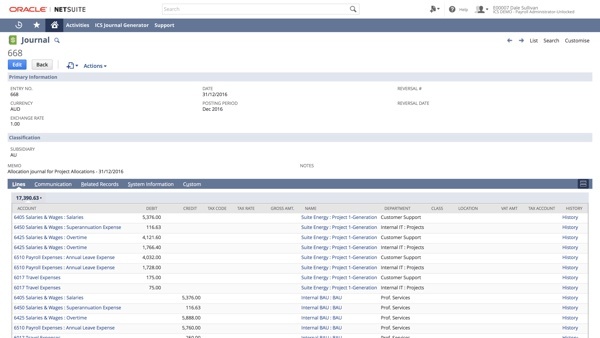 Configurable set-up allows you to create multiple GL impacts across your account and subsidiaries with one click. Each organization is unique, what isn’t unique to each organization though are the numerous (and repetitive) manual adjustments required to the GL. Discover how Journal Generator can help you and your organization automate these adjustments and more. 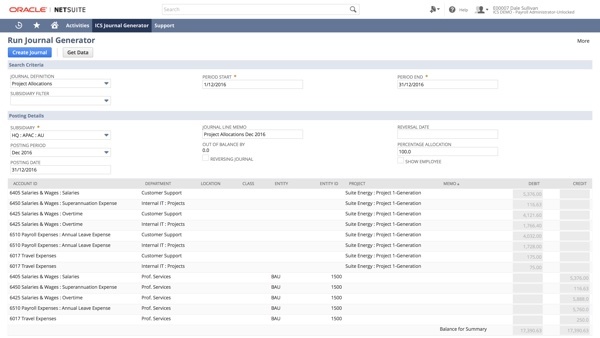 Because of the tight integration with NetSuite + Oracle, Journal Generator will work with any customization or feature installed in an account. In-fact, with most organizations, there’s no need for cumbersome configuration changes – you can do the install, setup and be generating journals yourself the same day. Automate your journal entry today!